ACTIVISTS from Brisbane Animal Save have taken a stand outside Swickers Bacon Factory in Kingaroy this morning. When the group held a similar protest in March this year, 82-year-old Pat Blower from Nanango was there. So, think all vegans are young, inner city hipsters? Mrs Blower wants you to think again. The 82-year-old made the life changing decision to become a vegan at the start of this year, following in the footsteps of her daughter, Chris Riley and granddaughter, Jamila Riley. "I'd never go back," she said. "It's a different style of cooking you have to learn, but you feel so much better." Mrs Blower said when her family introduced her to veganism, it connected with her lifelong love for animals. "We've always loved animals," she said. "Now I can't watch films with animals because I cry, but I never connected it with eating food." Mrs Blower was one of about 30 activists who stood outside the gates at Swickers bacon factory on Tuesday, protesting what they call the "extremely cruel" practices of the pork industry. Standing alongside her daughter and granddaughter and holding a sign that read "Dear animals, I'm sorry it took me so long", Mrs Blower stood in stark contrast to the stereotypical image of an animal rights activist. 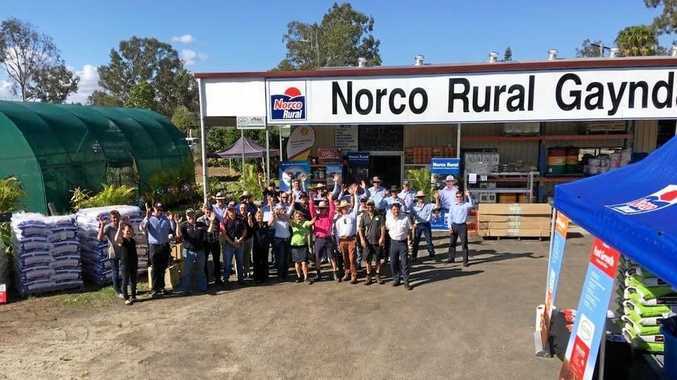 A long-term South Burnett resident, she understands the implications of a company like Swickers, the South Burnett's largest employer, closing down. "There'd be an uproar, but it'd be for the best," Mrs Blower said. "Perhaps they could invest in growing crops instead. There's plenty more things to do and grow." Mrs Blower's 19-year-old granddaughter, Jamila, grew up in Nanango and said she had always been aware of Swickers. "I remember us all sitting at the shops and the pig trucks going past," she said. "Back then, it never really connected, but as I learned about the industry, it slowly dawned on me what was going on." Jamila's mum, Chris, was inspired by her daughter's work with the Animal Justice Party and decided to make the change herself. "We've always loved animals and had them, but there's a disconnect between what's in the shops and an animal's life," she said. 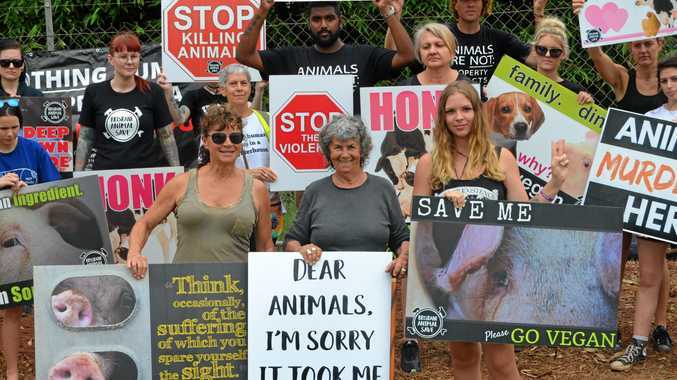 The three women were part of a group of activists from Brisbane Animal Save who held a vigil outside Swickers this week. Amanda Holly, spokeswoman for the group, said the group wanted to bear witness to animal suffering. ""We want people to understand where their meat comes from and make kinder choices. We want people to see the animals, not the nicely packaged product they buy in the supermarket," she said. Swickers was contacted for comment.